I’ve been using Winrar for about 10 years now and even though Windows now ships with a version of Winzip, WinRar is still my compression utility of choice. So we figured we would offer up a free winrar download, and see if we could port some users over from winzip. Why winrar you ask? Well I think it loads faster, it creates .rar files as well as .zip. It offers up tons of options as far as compression range. Allows you to split huge groups of files into dvd size files, cd size files. So in this case it makes many rar or zip files instead of one large one. It also has a nice update mode with another 7 or so features as well. It allows you to include or exclude files based on date, and even add a comment to the file for other people to read in the future. All this in a freeware application. Of course you get a screen when loading that says you are using WinRar unless you pay for the upgrade, but most apps show you that anyway, and If you just right click a file and archive or zip then you get no warning at all. So download now and start using what we consider to be the best free compression application out there. As always please tell us what you think. 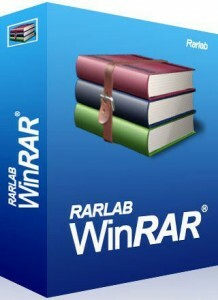 This entry was tagged download free winrar, download win rar, file compression program, free compression utility, free download winrar, free software, free version of winrar, free winrar trial, freeware winrar download, telecharger winrar, unrar, What is a .rar file?, win rar download, winrar, winrar for free, winrar free, winrar free download, zip alternative by pagestat. Bookmark the permalink.